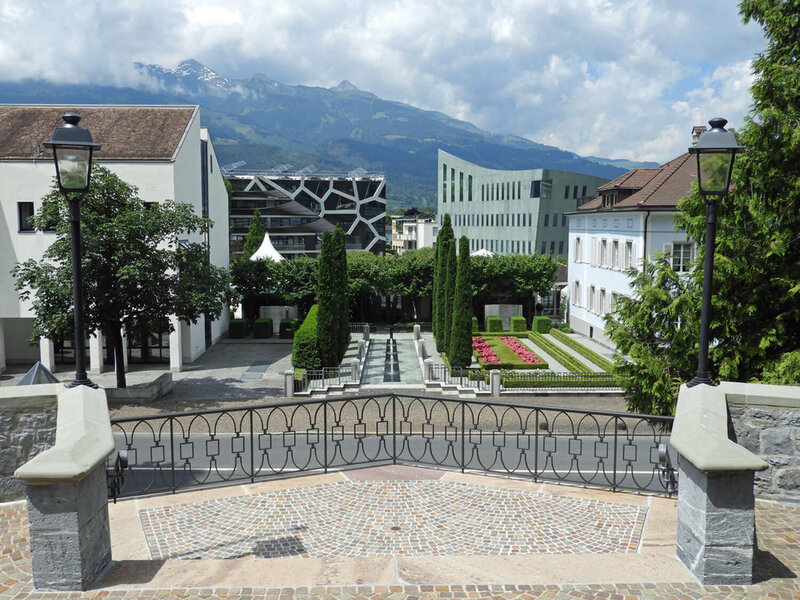 The heart, capital, and cultural center of Liechtenstein, Vaduz, is a must-see for anyone stopping through this mini microstate. On your way into town, be sure to stop at the Alte Rheinbrucke (Old Rhine Bridge). This 117 year old wooden pedestrian bridge passes over the Rhine river, which designates the border between Switzerland and Liechtenstein. Photo op - one foot in each country! 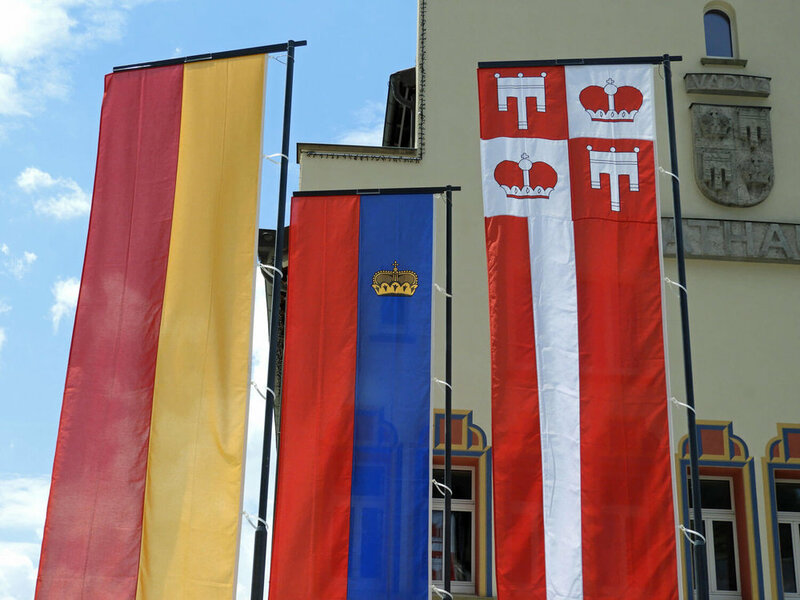 Once in the city, definitely stop in the Liechtenstein center to pick up maps, brochures and your souvenir Liechtenstein passport stamp (for about 3 euro)! We enjoyed strolling through the car-free, pristine pedestrian zones and checking out the local architecture and main town square. Also, who doesn’t love a free museum? We do. If you do too, peruse the Lichtenstein Postal Museum. We didn’t get a chance to visit, but we hear the art museum houses an impressive private collection. We ate a pic-nic lunch in the courtyard of Cathedral of St. Florin, and admired it’s interior. 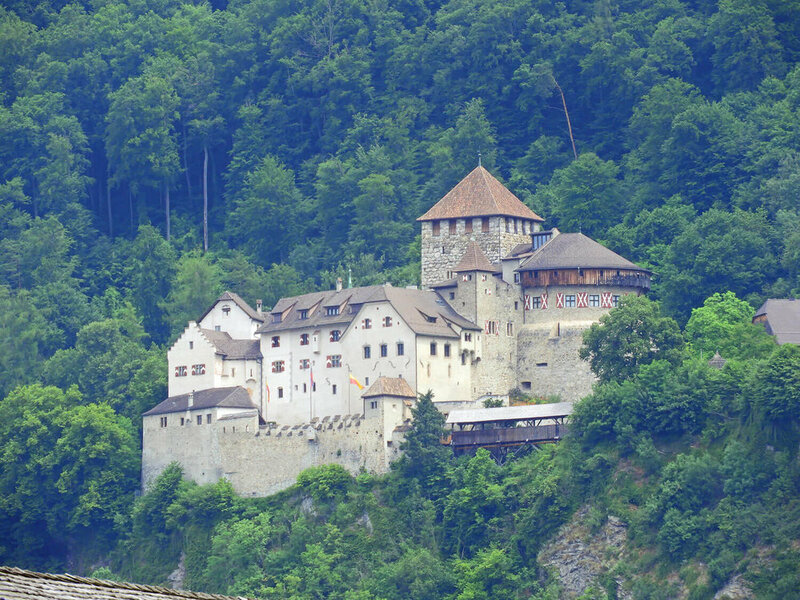 Though we didn’t tour the Vaduz Castle, it is nice to wander up that way and take in the views. 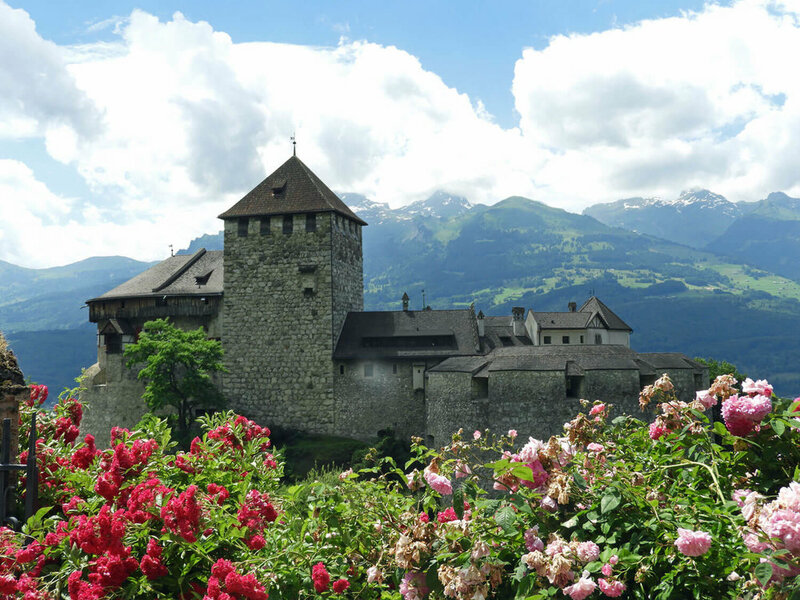 Vaduz is cool, but remember, Liechtenstein has more to offer. If you have time, we recommend heading to Malbun and exploring the amazing mountain peaks and scenery there. If you are an antique junky like us, be sure to stop at Antikscheune Vaduz before hitting the city center (right after the bridge). Similar to its neighbors, Liechtenstein can be a pricey country to travel through and/or shop in, but we found this shop to have reasonable prices, good organization and a friendly owner. Parking in the city center is limited and you likely won't be able to find free parking. We parked at a meter next to the St. Florin Cathedral.